This is the first piece in a series about what our community was like a century ago. While Edna Beard was the first female representative to the Vermont House of Representatives, and later to the Senate, she did not call attention to herself, and few Vermonters remember her today. She may not be well known, but her legislation reflected her unique perspective as a woman in a male-dominated field. 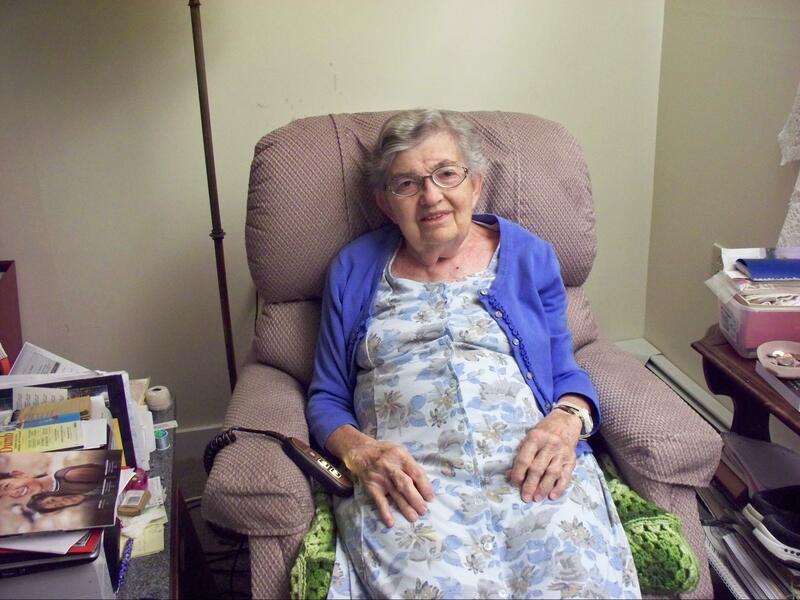 Edna’s niece, Elsie Beard, resides at The Gardens, an assisted living facility in Williamstown, Vermont. Her apartment is cluttered with boxes and documents– she donated one box of the Beard family papers to the Vermont Historical Society. On a recent afternoon, as she took time to talk about her aunt. A framed picture of Edna hung on the wall next to her. 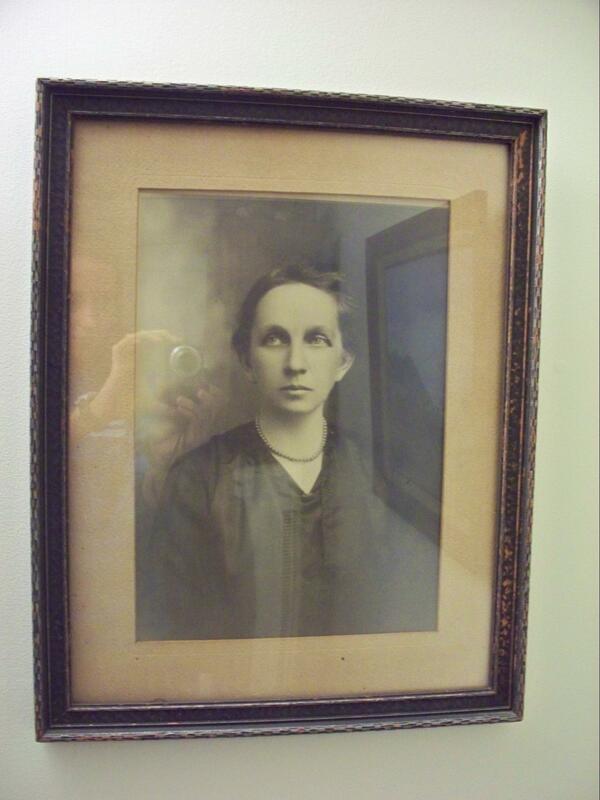 A framed photo of Edna hangs on the wall in Elsie’s apartment. Born in 1877, Edna graduated from Spaulding High School in 1896 and became a teacher in Orange, which in 1920 only had a population of 485 people. (4,11) She boarded with her students, but according to Elsie, “she always went home on the weekends because her mother was invalid. She never had a home of her own; she lived with her mother.”(1) Edna’s mother had rheumatoid arthritis and was in a wheelchair. Elsie also stated that, “Edna was an excellent horsewoman, she had her own horse and buggy and everywhere she went to, she drove to.” (1) She never owned a car, which was uncommon as cars became more prevalent in rural communities. (1,13) While Edna was old-fashioned in her transportation, she pioneered politics for Vermont women. There was a story circulating in which an Orange resident had a valuable coin, stating that, “if anyone catches Burt Richardson working, I’ll give him this coin!”(1) Burt was known as loud, argumentative, and not “a fit person to represent the town.”(1) Edna knew she needed to step in. 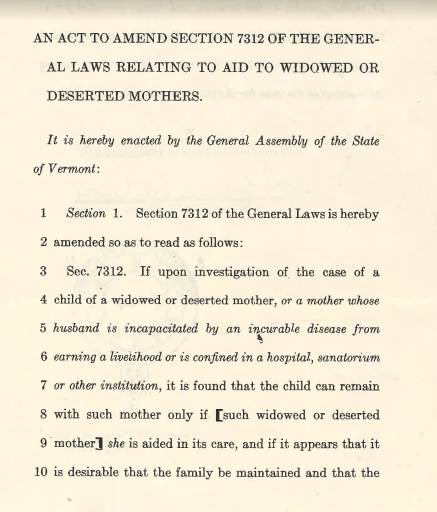 The first page of Act 218, explaining that children may remain with their widowed mothers if they received aid. Courtesy of Vermont State Archives. Edna was elected to the Vermont Senate in 1923, where she improved job options for women. (1) At the time, female sheriffs struggled to find jobs. (3) S.84, a bill debated in the Senate, would “leave it to the discretion of the commissioner as to whether he would appoint [women] deputies”. (3) Edna objected, introducing a bill that required at least one female deputy to be appointed by the commissioner. 3 She worried that, “should the matter be left entirely to the commissioner, he might not appoint a woman.”(3) She gave women protection in a career where they otherwise would have faced discrimination. 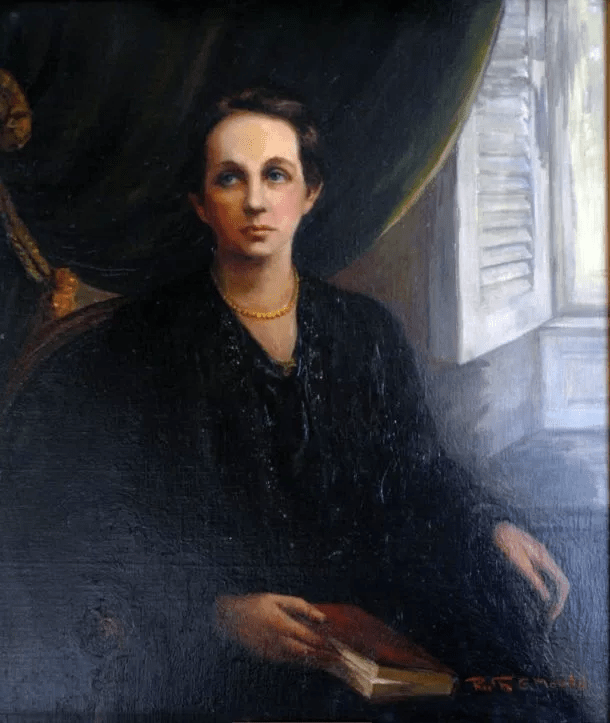 A portrait of Edna hangs in the Vermont Statehouse, painted by Ruth Mould. Image courtesy of Vermont Digger. After telling Edna’s story, Elsie sat back in her recliner, and a look of contentment crossed her face. She glanced at the portrait of Edna on her wall, and mentioned that a portrait of Edna hangs in the Vermont Statehouse. While most don’t know her name, Edna Beard’s election and legislation laid the groundwork for future female politicians in Vermont. (3) “Senator Beard to Rescue .” Burlington Free Press, 24 Mar. 1923. (4) The Barre Daily Times. (Barre, Vt.), 10 June 1921. Chronicling America: Historic American Newspapers. Lib. of Congress. (5) Hand, Samuel B. The Star That Set: the Vermont Republican Party, 1854-1974. Lexington Books, 2002. (6) Beard, Edna. H.57. Vermont State Archives. (7) The Brattleboro Daily Reformer. (Brattleboro, Vt.), 05 Jan. 1921. Chronicling America: Historic American Newspapers. Lib. of Congress. Orleans County Monitor. (Barton, Vt.), 26 Jan. 1921. Chronicling America: Historic American Newspapers. Lib. of Congress. (10) Hoffbeck, Steven R. “Poor Farms in Vermont.” Vermont History, vol. 57, no. 4, 1989, pp. 231–235. (12) “Edna Beard Vermont Statehouse Portrait.” Vermont Digger, i2.wp.com/vtdigger.org/wp-content/uploads/2016/10/Edna-Beard-portrait-610×723.jpg?resize=610%2C723. (13) “Early Autos in Vermont.” Vermont Historical Society, vermonthistory.org/research/research-resources-online/green-mountain-chronicles/early-autos-in-vermont-1902. Hi Sadie! If you want some of the interview, feel free to email me at lwood19@wcsu32.org !